Has an uplifting, fiery aroma with a warm, sweet flavour. As a culinary spice, it can be used in many dishes the world over and in many sweet treats. Who could resist a slice of ginger cake, some ginger biscuits or a refreshing ginger tea? 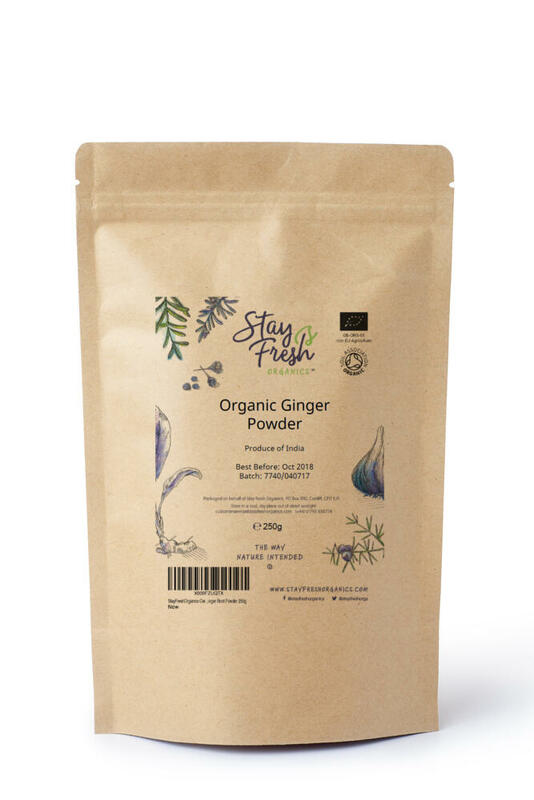 Ginger contains gingerol - a substance with powerful health benefits that's known to have antibacterial, antioxidant and anti-inflammatory properties. From the same family of plants as turmeric; the two spices go very well together. 1) Boil water and pour into a teapot. 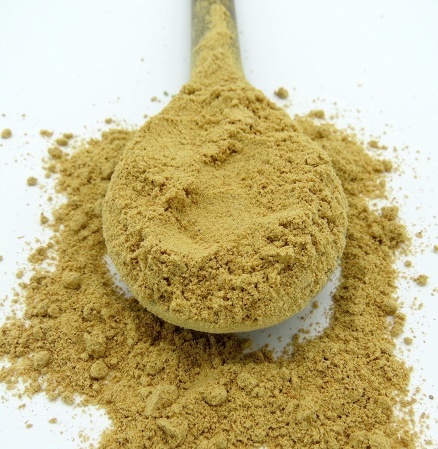 2) Add a teaspoon of organic ginger powder for each cup of water and allow to seep for 5-10 minutes. 3) Strain the tea into a mug and add lemon and honey as desired. See the Stay Fresh Blog for more. I have recently wanted to cut down on how much coffee I drink & have taken to green tea with half a teaspoon of ginger & a small squeeze of honey. I feel much better drinking this & the ginger from stayfreshorganics is really really good. I bought three superb products from stay fresh organics and this one is as superb as the others. Beautifully fresh excellent packaging and tremendously helpful team. I will definitely purchase again.